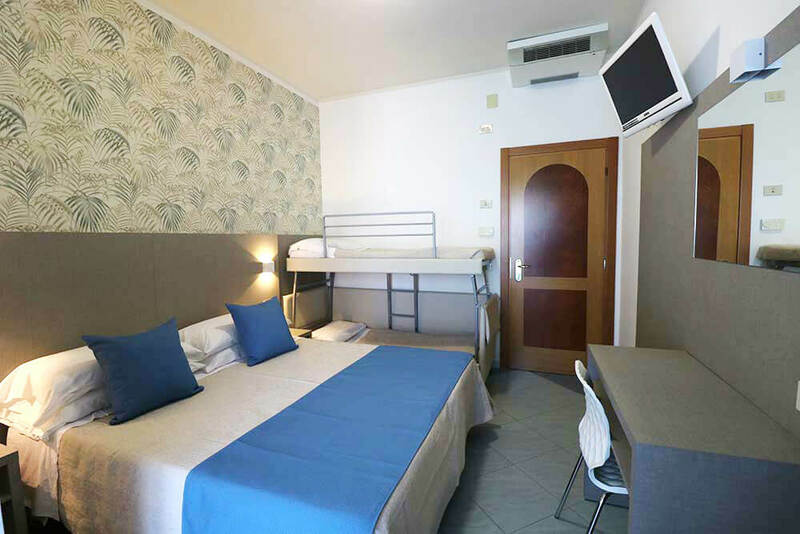 The Comfortable rooms of Christian Hotel are the ideal choice to host families, couples or groups in Rimini seeking cosy, well-arranged and welcoming environments. 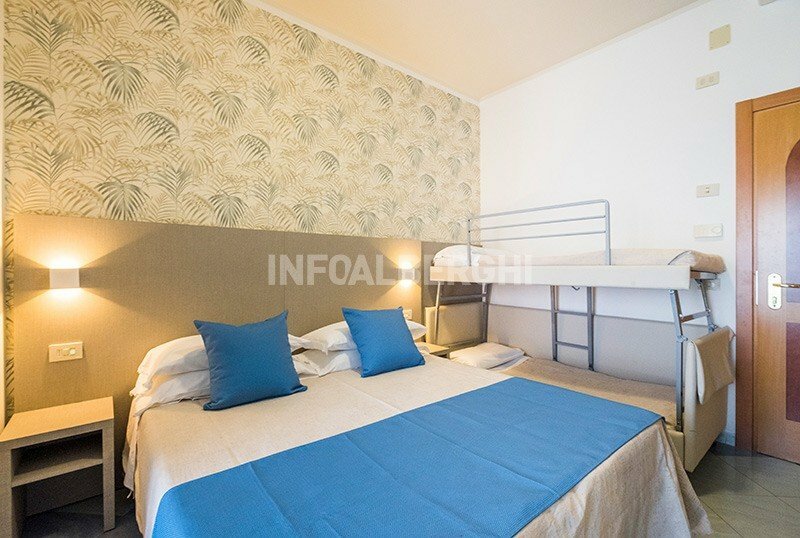 Bright and intimate, all rooms are appointed with simple and functional furniture including all the services and comforts for a summer vacation filled with relax at a 4-star Rimini hotel. 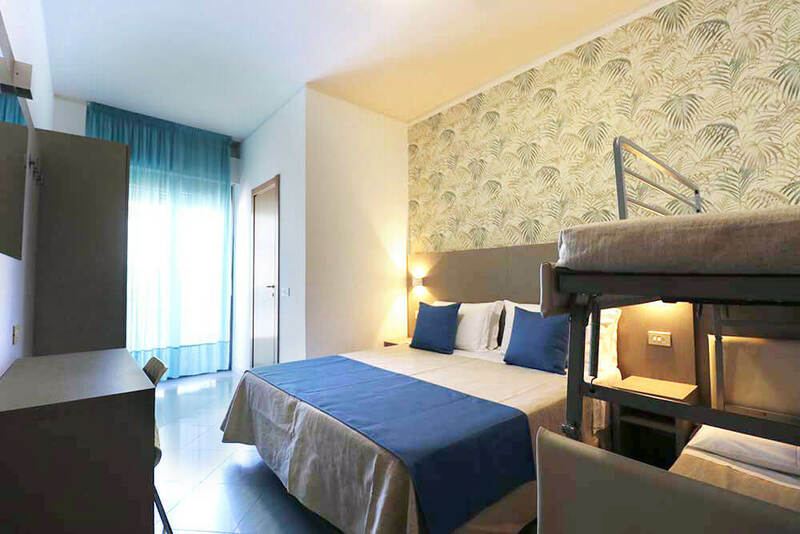 Each room has air conditioning, balcony, ensuite bathroom with shower cabin, hairdryer and linen. Besides all the services guests can find in our Classic Rooms, Comfortable Rooms offer a number of exclusive pluses to make your holiday even more rewarding: a mini bar with free welcome refreshments, 2 bathrobes with slippers and soft beach towels ( for use ), for an unforgettable All-Inclusive vacation in Rivazzurra.